A Home for Science in America recounts the history of the National Academy of Sciences Building, which was dedicated in 1924, richly illustrating its architecture and ornamentation, and describing its restoration and renewal for the 21st century. This book is available for purchase online from the National Academies Press. 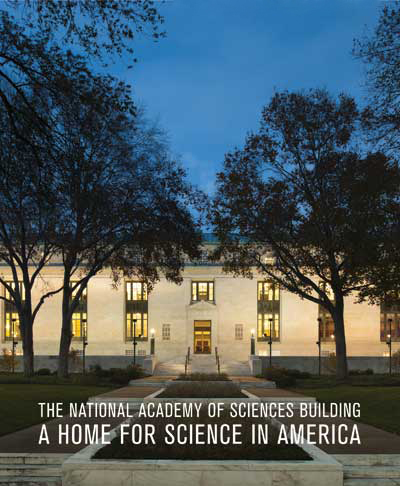 The National Academy of Sciences: A Home for Science in America published in 2013.